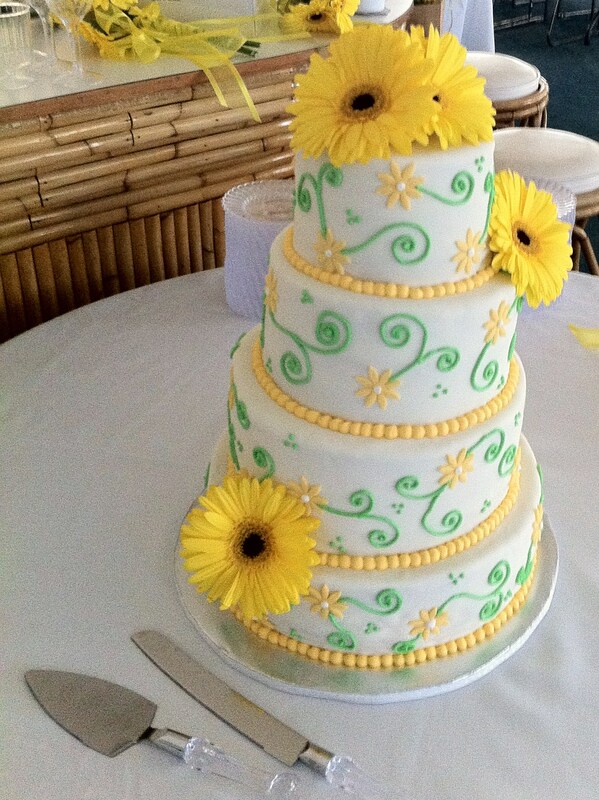 Sweet as a Daisy Wedding Cake! 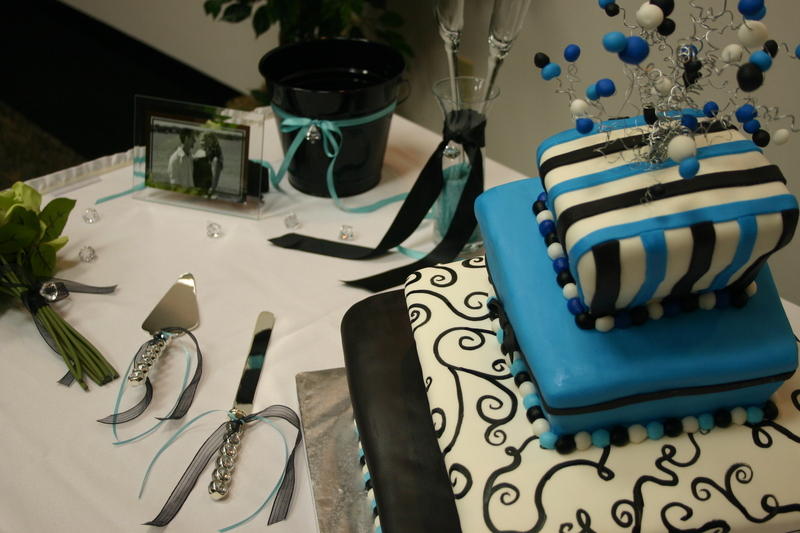 Several months ago a sweet girl, named Ashlee, contacted me about making her wedding cake, so we set up a time to meet. Before the first meeting, I already started learning how “connected” I was to this bride. First of all, her father has been playing tennis with my husband for the past 8 years! Then I found out that she was the student teacher in the class of little E, whose mother is one of my dearest friends and for whom I made a 3D Mini Cooper birthday cake last year. They were both very excited for me to make her wedding cake! 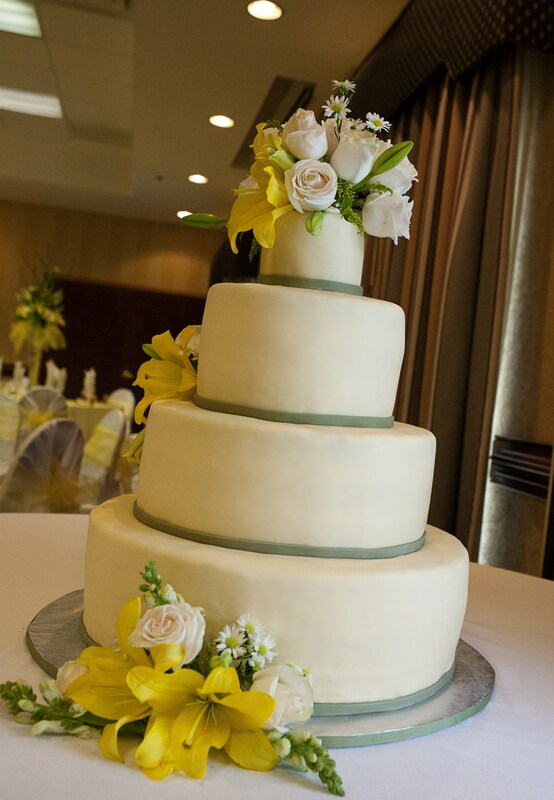 So I already felt like I knew Ashlee when we met to discuss her wedding cake. She had been looking at the wedding cakes that I’d already made and really liked the “Carol”, but she wanted to tweak it to make it custom to her wedding, which I love to do! 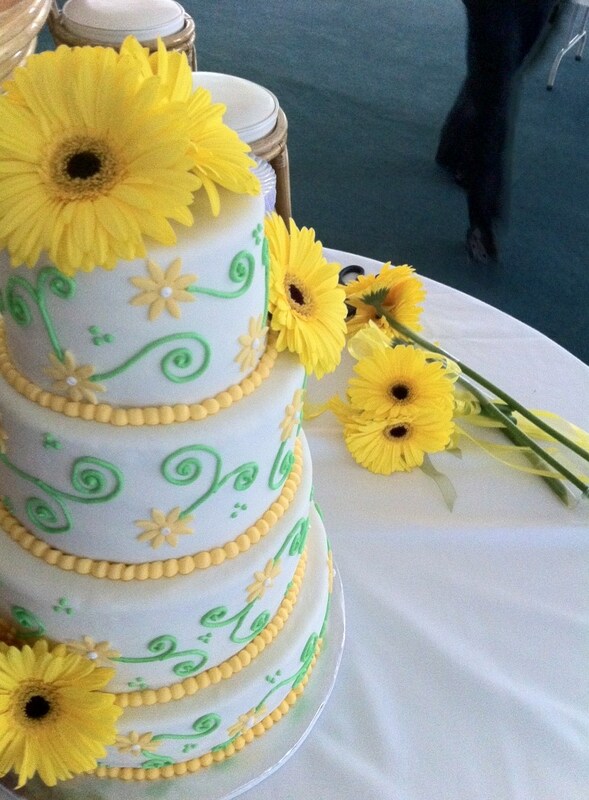 So we decided to forgo the monochromatic, white-on-white and instead incorporate her colors of yellow and green. We also went with a daisy instead of the primrose flowers. The sketch turned out perfectly and we were both thrilled with the promise of new and beautiful cake for her wedding. Now you’re probably wondering why I mentioned the Kevin Bacon thing when there were only 2 connections between myself and Ashlee and that isn’t anything to get excited over. Well, if those were the only 2, I wouldn’t have mentioned it. But when a comment thread broke out on FB over the picture of Carol’s wedding cake, I just had to laugh. 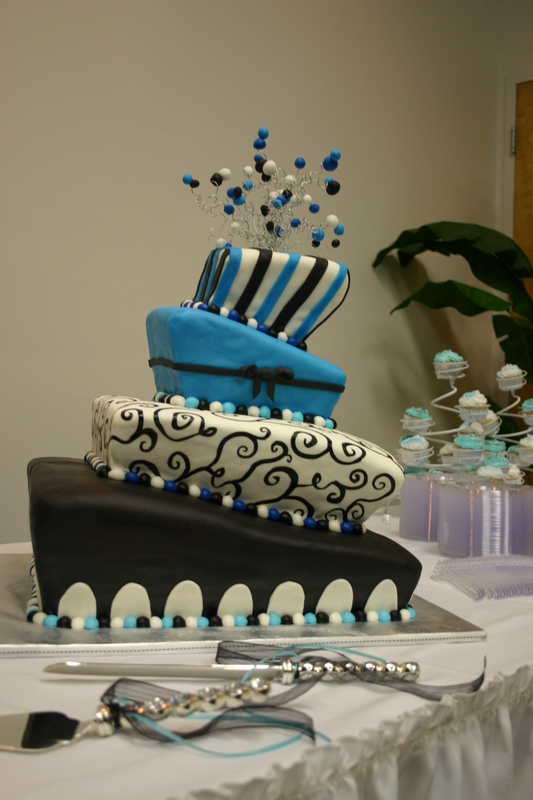 Ashlee commented that she didn’t realize that this cake, which she’d wanted her own wedding cake to be patterned after, was Carol’s. That’s right Carol and Ashlee know each other! Then a few weeks later after I’d posted pictures of Ciara’s wedding cake the same thing happened again! Ashlee also knows Ciara! Lol. 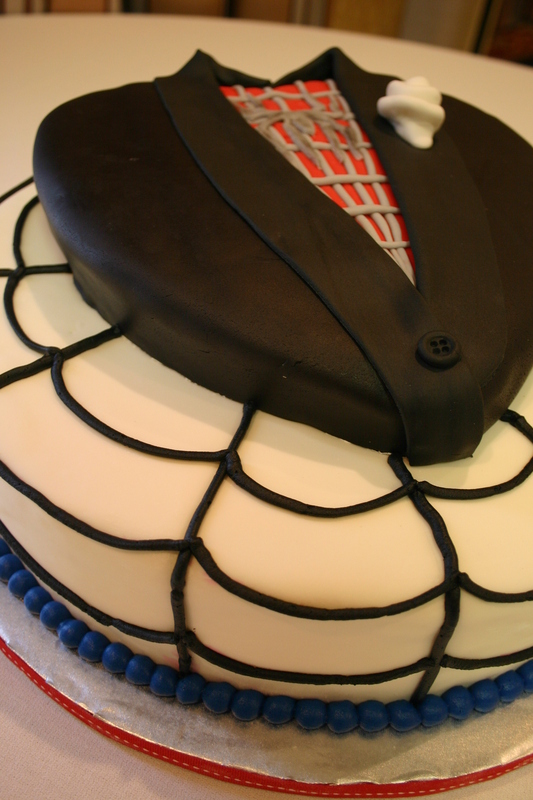 It’s like I was destined to make Ashlee’s cake. 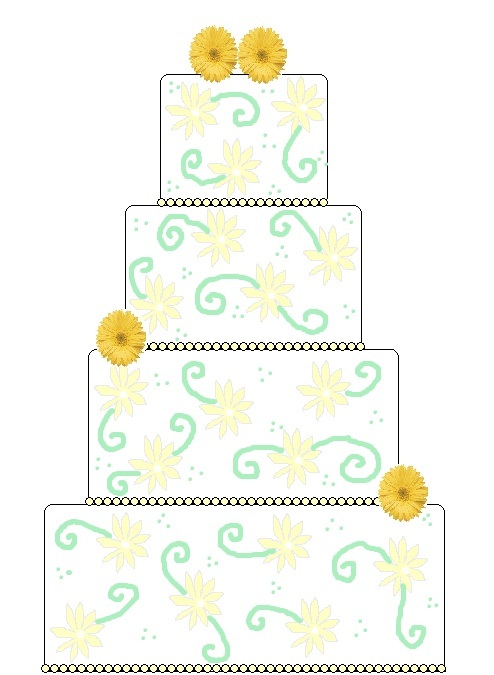 The sketch of Ashlee's yellow daisy wedding cake. 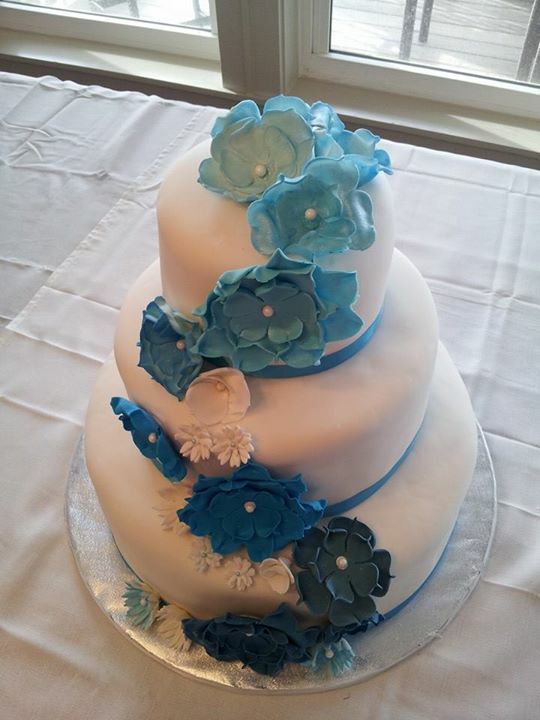 When it was all said and done, I felt like I knew Ashlee and that I was meant to make her wedding cake. I often feel like my bride’s are all my long-lost sisters. And that was definitely true of Ashlee! I wish her and her new husband Kevin many, many MANY years of happiness and joy in their marriage!